Go green! 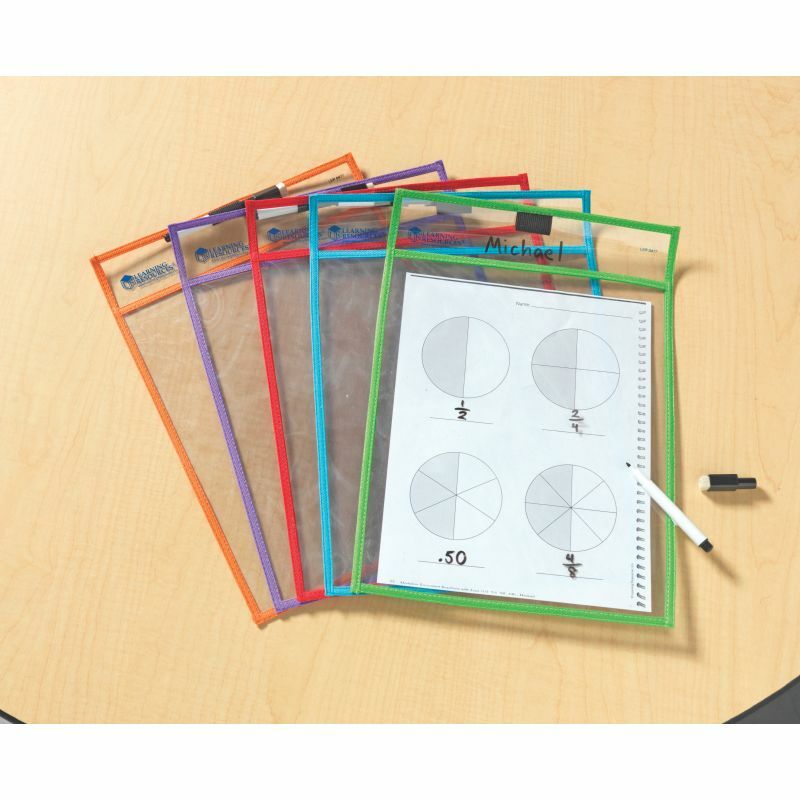 Clear, oversized pockets turn every paper into a reusable write & wipe activity–just slip in your own activity masters. 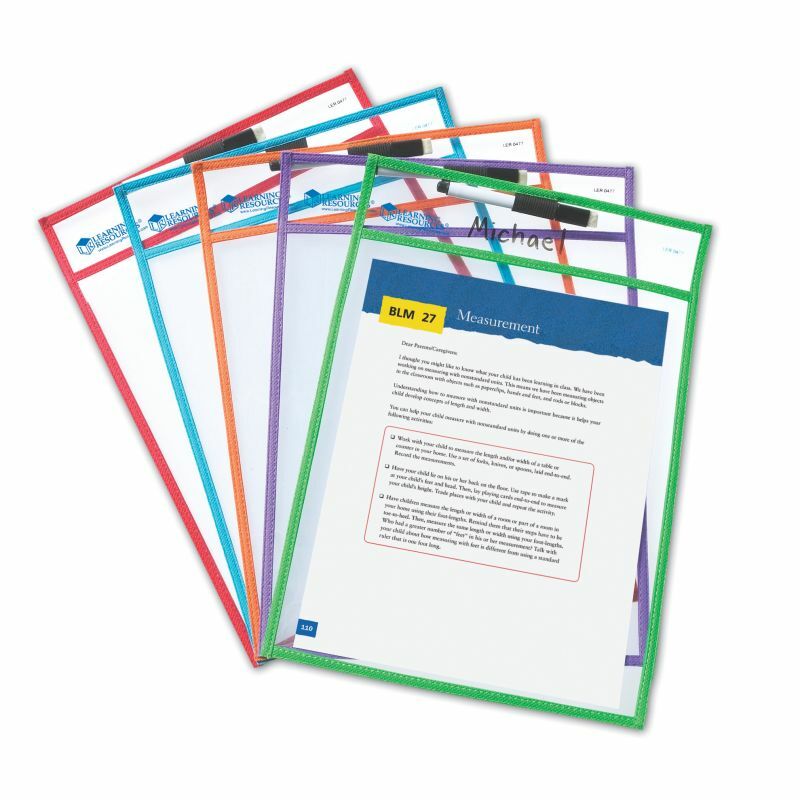 Trim colors match Center Signs (LER 0482) to lend you a hand with center management. Includes 5 pockets and 5 dry-erase markers with eraser tips, which store in the handy loop on the top of each pocket. 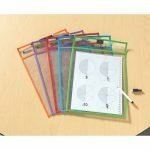 Pockets measure 10″L x 14″H.